Objective: We recently reported a highly stereoselective increase in plasma concentrations of (S)-atenolol during exercise which is most likely due to a release of the drug from adrenergic cells. 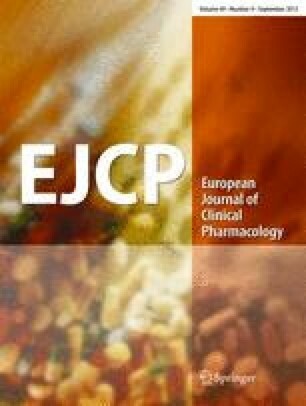 The objective of the present study was to investigate the influence of physical exercise on plasma concentrations of the (R)- and (S)-enantiomers of propranolol. Blood samples were taken immediately before and at the end of exercise in 12 patients receiving chronic treatment with racemic (R, S)-propranolol. Plasma concentrations of (R)- and (S)-propranolol were determined by HPLC. In contrast to atenolol, mean plasma concentrations of (S)-propranolol were significantly higher (+20%) than those of (R)-propranolol at rest. During exercise there was an increase in plasma concentrations of both (R)-propranolol (+129%) and (S)-propranolol (+109%). Based on information from in vitro studies we conclude that the increase in plasma concentrations of (S)-propranolol during exercise is caused by a release of the drug from adrenergic nerves, whereas the reason for the increase in (R)-propranolol remains to be determined. This release of the β-adrenoceptor blocking (S)-enantiomer directly at the synaptic gaps might be one reason for the poor correlation between plasma concentration and effect of β-adrenoceptor antagonists repeatedly described in the literature.